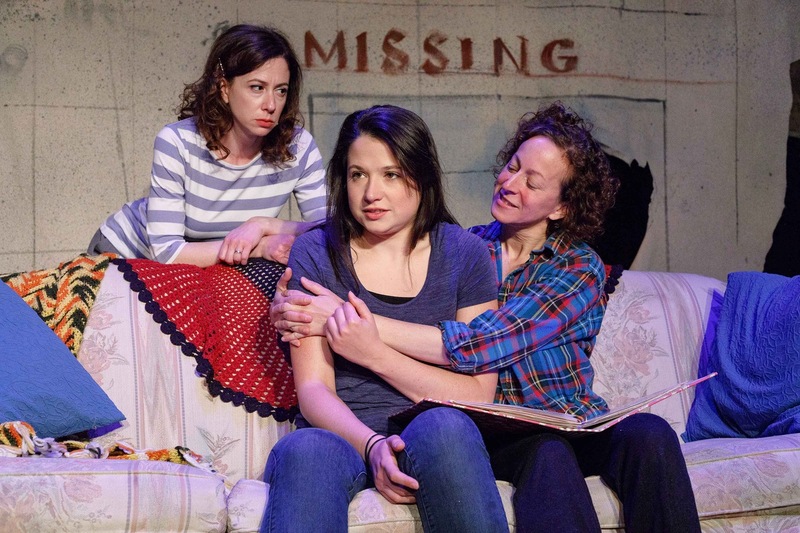 Idle Muse Theatre Company presents the world premiere of Girl Found. 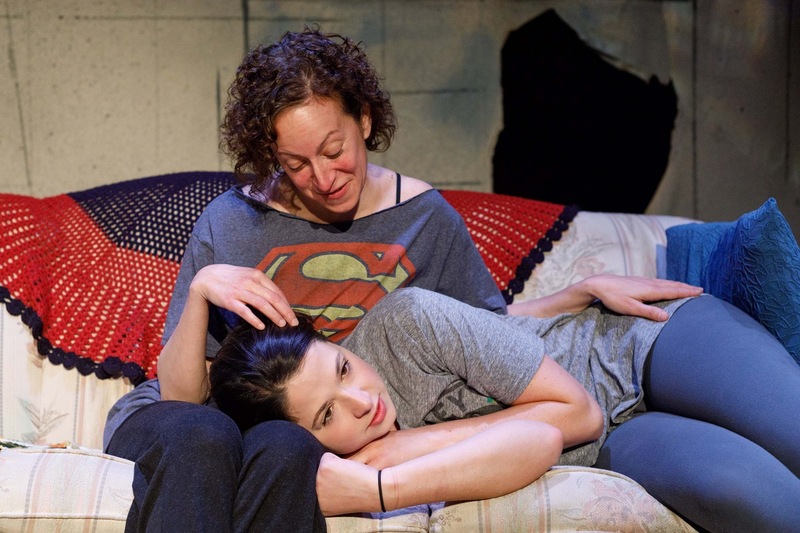 Playwright Barbara Lhota skillfully pulls us into a family’s emotional reunion. Eleven year old Sophia disappeared from her Detroit home and reappears six years later in Toronto. Her mysterious homecoming raises all kinds of questions as the family reconciles the past with the present. What happened during those missing years? What happened that fateful night? Inspired by true events, Lhota drops us into a troubling world of human trafficking, drug addiction and child abuse. Lhota lays out the pieces and has the audience puzzle the story together. 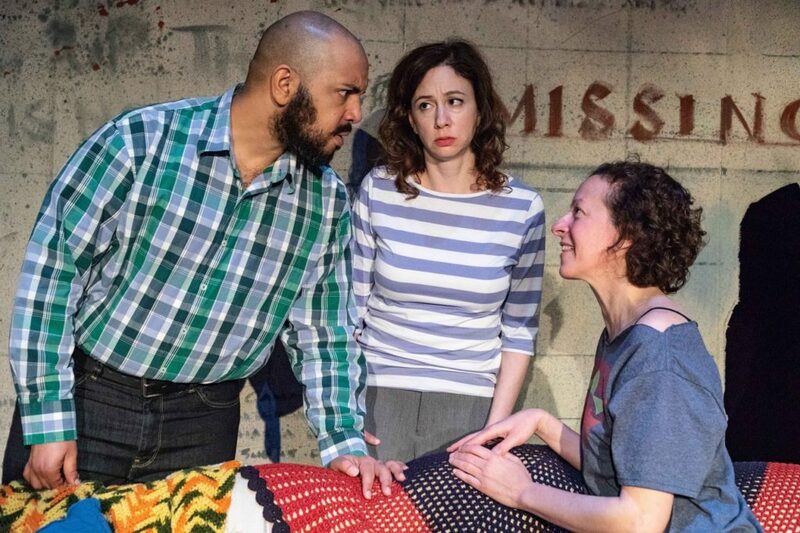 On a split stage, Sophia’s family home is flanked by a Toronto shelter and an FBI office. Throughout the show, an even keel Kathrynne Wolf (Dr. Martha Cole) navigates the storytelling by interviewing Clara Byczkowski (Sophie). A nimble Byczkowski goes back and forth from explaining what went on to reenacting the story. Director Alison Dornheggen compassionately drags us through the family angst. A void of despair is filled with hope as a young girl returns home. Dornheggen and her talented ensemble make us care about them. I tear up when an emotional Byczkowski hugs James Mercer (Noah). I’m committed to unraveling the relational knots between the steadfast Katherine Swan (Ellie)and the hot mess Tricia Rogers (Eva). A worn Swan wants to protect both her niece and her sister. Her disheartenment is palpable. A frantic Rogers walks the fine line between vulnerable and pathetic. This family has so much chaotic backstory Sophia’s return is just one more moving part. I enjoyed GIRL FOUND. It’s about real people desperate for love. At The Edge Theater, 5451 N. Broadway St.
Tickets may be purchased at idlemuse.org or by calling 773.340.9438.